What is truth? Truth doesn't really exist. 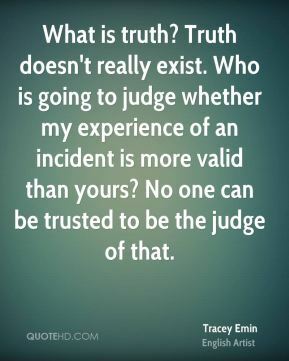 Who is going to judge whether my experience of an incident is more valid than yours? No one can be trusted to be the judge of that. 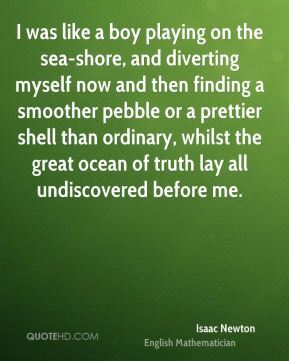 I was like a boy playing on the sea-shore, and diverting myself now and then finding a smoother pebble or a prettier shell than ordinary, whilst the great ocean of truth lay all undiscovered before me. 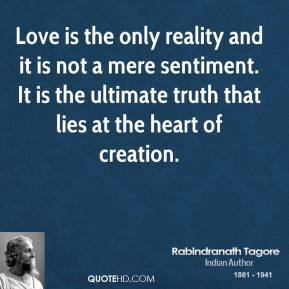 Love is the only reality and it is not a mere sentiment. It is the ultimate truth that lies at the heart of creation. Christians must be Jews. 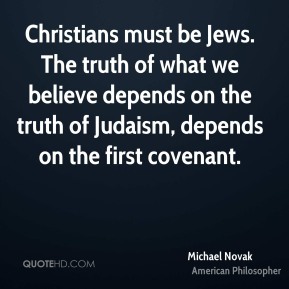 The truth of what we believe depends on the truth of Judaism, depends on the first covenant. 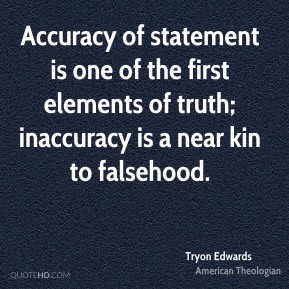 Accuracy of statement is one of the first elements of truth; inaccuracy is a near kin to falsehood. 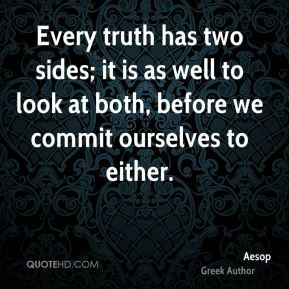 Every truth has two sides; it is as well to look at both, before we commit ourselves to either. 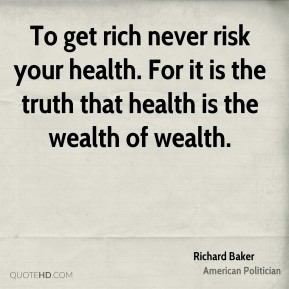 To get rich never risk your health. For it is the truth that health is the wealth of wealth. The truth is I love being alive. And I love feeling free. 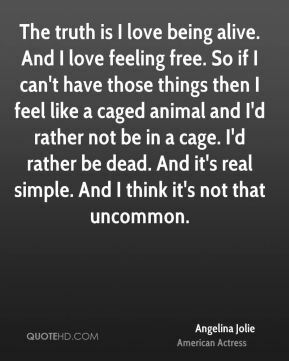 So if I can't have those things then I feel like a caged animal and I'd rather not be in a cage. I'd rather be dead. And it's real simple. And I think it's not that uncommon. 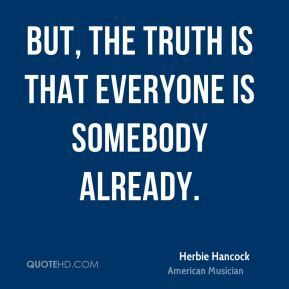 But, the truth is that everyone is somebody already. 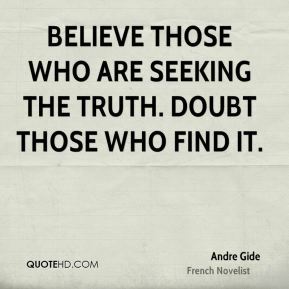 Believe those who are seeking the truth. Doubt those who find it. 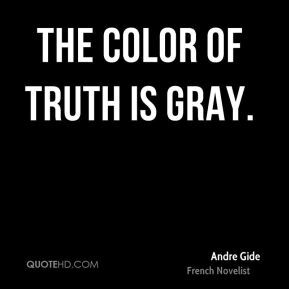 The color of truth is gray. 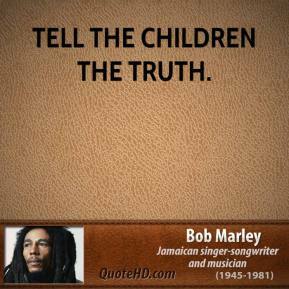 Tell the children the truth. 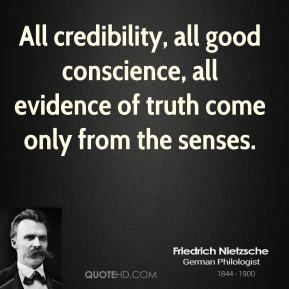 All credibility, all good conscience, all evidence of truth come only from the senses. 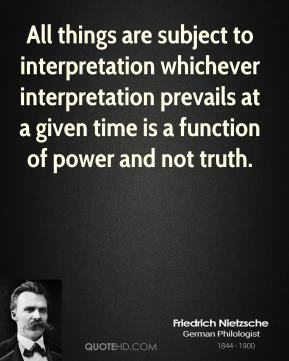 All things are subject to interpretation whichever interpretation prevails at a given time is a function of power and not truth. 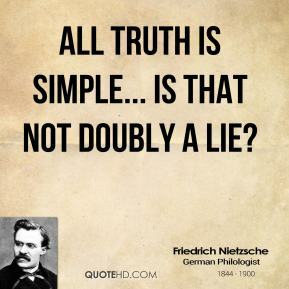 All truth is simple... is that not doubly a lie? 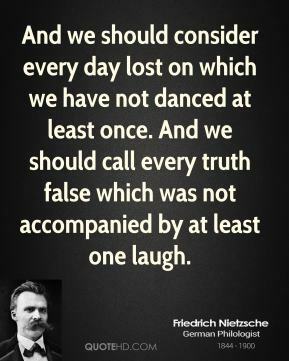 And we should consider every day lost on which we have not danced at least once. And we should call every truth false which was not accompanied by at least one laugh. 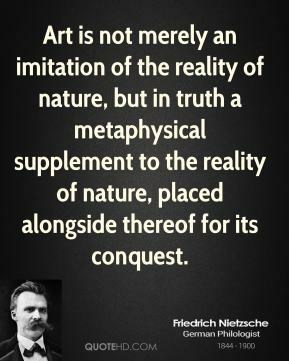 Art is not merely an imitation of the reality of nature, but in truth a metaphysical supplement to the reality of nature, placed alongside thereof for its conquest. 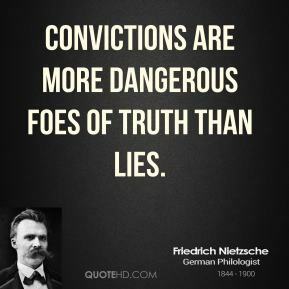 Convictions are more dangerous foes of truth than lies. 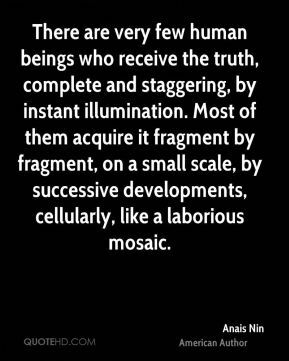 There are very few human beings who receive the truth, complete and staggering, by instant illumination. Most of them acquire it fragment by fragment, on a small scale, by successive developments, cellularly, like a laborious mosaic. Truth is something which can't be told in a few words. 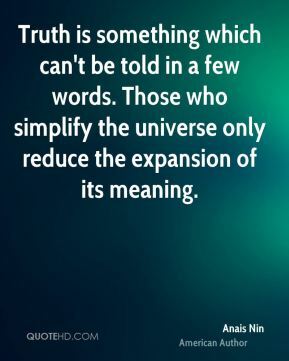 Those who simplify the universe only reduce the expansion of its meaning. I think Hollywood has a class system. 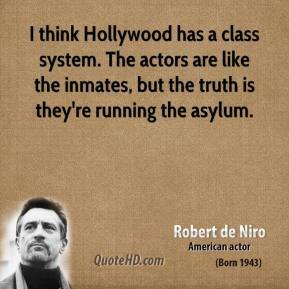 The actors are like the inmates, but the truth is they're running the asylum. 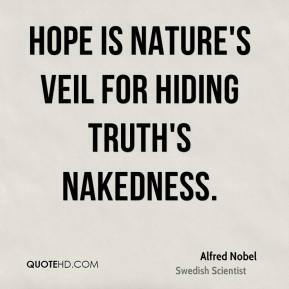 Hope is nature's veil for hiding truth's nakedness. 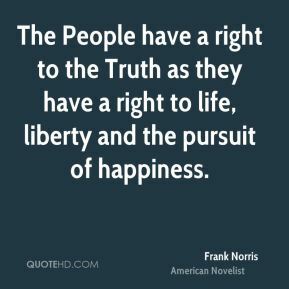 The People have a right to the Truth as they have a right to life, liberty and the pursuit of happiness. 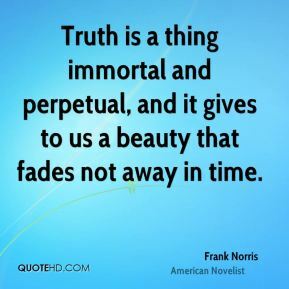 Truth is a thing immortal and perpetual, and it gives to us a beauty that fades not away in time. 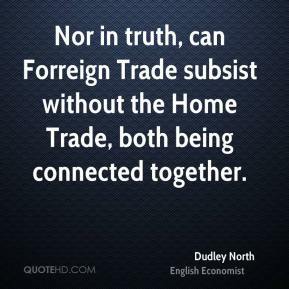 Nor in truth, can Forreign Trade subsist without the Home Trade, both being connected together.